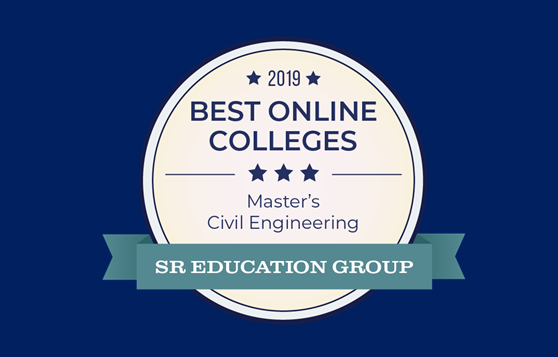 In recognition of offering affordable tuition to students who are able to secure high paying jobs, UW CEE’s online Master of Science in Civil Engineering: Construction Engineering program ranks among the top 2019 Best Online Colleges for civil engineering. According to the SR Education Group, an education research publisher, UW CEE’s construction engineering online master’s program is ranked #4 out of 18 programs. The rankings identify programs with “high return on investment and commitment to affordability, two key factors for prospective students,” according to the SR Education Group. The rankings were determined by evaluating tuition rates for programs across the nation as well as salary potential. Salary data for median mid-career positions was gathered from PayScale. The rankings were recently published in the SR Education Group’s 2019 Best Colleges rankings. View the full list. UW CEE’s Master of Science in Civil Engineering: Construction Engineering program allows students to pursue an advanced degree in heavy construction, focusing on roads, bridges, marine construction, infrastructure and more. The program was developed by an interdisciplinary team from the departments of Civil & Environmental Engineering and Construction Management.